Thank you for considering Stanly Community College where you will discover a learning community that is dedicated to the success of our students. 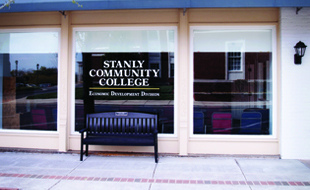 Stanly Community College is creating success through hope, opportunity and jobs. Feel free to browse through the many educational offerings that are available any time, any place, any pace! 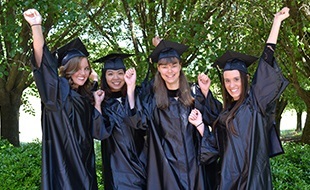 Stanly Community College is committed to providing educational opportunities that lead to either employment or transfer to another educational institution. 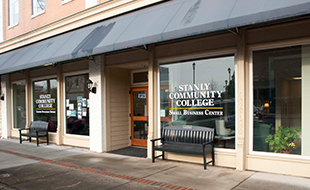 SCC offers many academic programs in the Associate (2-year), Diploma (1-year), and Certificate (1-year) level. In accordance with Federal mandate, students must confirm that they have received and read the Gainful Employment information regarding each of its Federal Student Aid eligible Diplomas and Certificates prior to being admitted. Please enter the appropriate information on the electronic form and submit the form provided for each of the programs.